The FAMU Board’s attempt to fire Mangum during a Thursday emergency meeting once again put the animosity between the president and now former Board Chairman Rufus Montgomery on display. Montgomery’s comments toward the president were curt. Montgomery and the president have clashed publicly almost from the time Mangum started the job in April of last year. It reached a peak during the Summer. 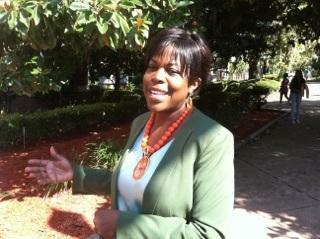 That led powerful FAMU alums who are also lawmakers, called for Montgomery to resign as Mangum accused him of bullying. About 250 students chanted "Stand By Mangum" on the steps of the school's administration building shortly after the board's Thursday's teleconference meeting. Two attempts to fire the president failed during the call, but it riled up students enough to spur an impromptu march to the Capitol and Governor Rick Scott's office. Students demanded Montgomery's resignation. Among them was FAMU Computer Science major Aaliyah Barrington. She believes Montgomery has been largely responsible for the discord. Barrington says she takes it personally because Montgomery is a FAMU almnus. “When we came to FAMU, its all about being FAMU-ly. And its like he didn’t learn the cohesiveness of an HBCU or the love we all have for our university. I think its time for him to go and I think all the negative press FAMU has been getting is because of him, specifically," she said. The school’s governing board has seen lots of shakeup in the past few months. Many trustees are new, having replaced those who resigned or whose terms expired. Former Trustee Marjorie Turnbull calls Montgomery’s decision to resign his post a turning point. “Hopefully there will be new leadership that will engage with the President and understand she was brought in here to make significant changes to the way FAMU manages its side of the financia, house. And if she can get support from the bard to make those changes, I think there’s no stopping FAMU in achieving excellence," Turnbull said. Montgomery remains on the board for now. His term doesn’t expire until January. Still unknown is how FAMU’s Board will move forward. It gave Mangum a poor performance evaluation and denied her a bonus. Original Story: Florida A&M University Board Chairman Rufus Montgomery has resigned his position. Montgomery has been critical of President Elmira Mangum and was partly responsible for two failed attempts to fire her. Mangum had previously accused Montgomery of bullying her and interfering with her duties as president. 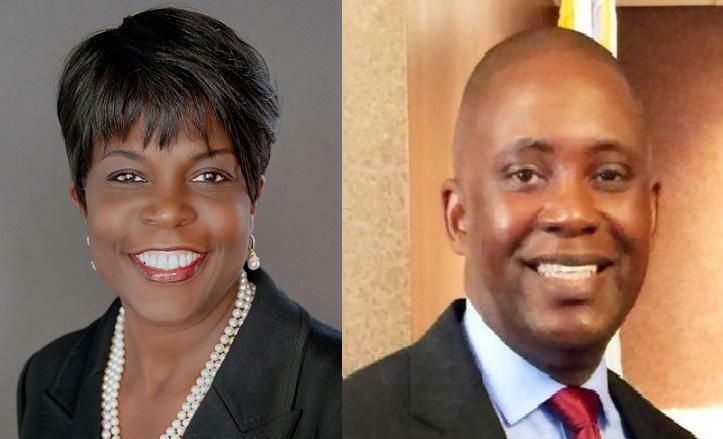 During Thursday's emergency board of trustees conference call, Montgomery could be heard talking over other trustees, and attempted several times to silence FAMU student body President Tonette Graham when she disagreed with trying to fire the President in a teleconference. Shortly after the teleconference ended and two attempts to fire the presient failed, FAMU students marched to the Capitol and Governor Rick Scott's office to demand Montgomery's resignation from the board. He was appointed to FAMU's Board of Trustees by Governor Rick Scott and elected chairman earlier this year. News of Montgomery's decision to give up his chairmanship emerged on facebook, in a letter to trustees posted by noted commentator Roland Martin. I interpreted your decision to unanimously elect me as chair as a mandate to continue the quest for accountability and greatness in our shared roles as members of the University's governing body. An expected spirit of cooperation with the Board's responsible efforts to hold the President accountable has not materialized and is not likely to occur with the current Board. Our stakeholders need to be mindful of the potential appointment of up to eight new Board members over the next three months and the impact of those appointments on the future of the University. Successful navigation of major short and long term challenges facing an effective working relationship between the Board chair and the university president. The current relationship is broken and irreparable. From my years as a FAMU student through my current tenure as a member of the Board, I have consistently put FAMU first. In an effort to move the University forward, effective immediately, I hereby resign from my position as chair. Montgomery will remain on the board. His term expires in January.